RN Eritrea was a ship specifically designed to serve in the colonies in Africa. She was designed to fulfill multiple roles but her primary job was to support the subs based there. The construction started in 1935 and completed in 1937. After a mission off the coast of Spain(in that period there was the Spanish Civil War) she was rebased in Massaua. She stationed her until the 18/2/1941 when Supermarina(the Navy High Command) gave the order to sail to Japan and force the British blockade(at that time the British were conquering the Italian colonies). During the night she set sail towards the destination reaching Kobe on March. After reaching Japan she supported the submersibles which transported goods to Japan and fulfilled that role until the Armistice. On that day she was sailing to reach the Cappellini and, after getting the message, she sailed toward Ceylon avoiding Japanese patrols. She then supported Allied subs until the end of the war when was given to France in 1948. It may look strange to have two ships in the very same slot but there’s a reason. They share the same armament and protection and they differ primarily in size(Bixio is bigger and heavier than Quarto), speed(Quarto is marginally faster) and armament layout(Bixio could bring to bear more guns than Quarto on a broadside). Both were developed around the same time and they are the base for the development of the line i placed above. Since they are fairly similar i decided to use them both in the same slot as presets. Quarto will be the stock configuration(even though she was overall more successful due to better machinery), and Bixio as final preset. 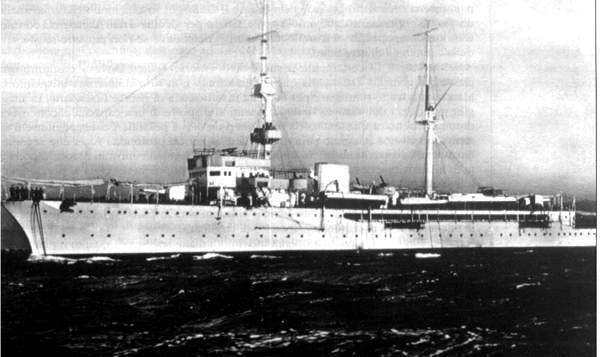 Both Nino Bixio-class and Quarto were developed before WWI as scout cruisers. Quarto was a one-ship class while Nino Bixio had two ships: Nino Bixio and Marsala. All three served during WWI on the blockade arranged on the Adriatic to box in the Austro-Hungarians. All three ships survived WWI and kept service in the Italian Navy after that. From then on the three ships have different fates: Marsala and Bixio had to be scrapped because their machinery degradaded(Marsala on 1927, Bixio on 1929). Quarto on the other hand had a much better machinery which kept her going for quite some time. She served in the Italian colonies, replaced Libia in China and then come back home on 1938 to support the war effort during the Spanish Civil War. During that year there was an accident on the boiler room which caused her retirement. She was used as target from 1939 and then scuttled to obstruct the port at Livorno on 1944. 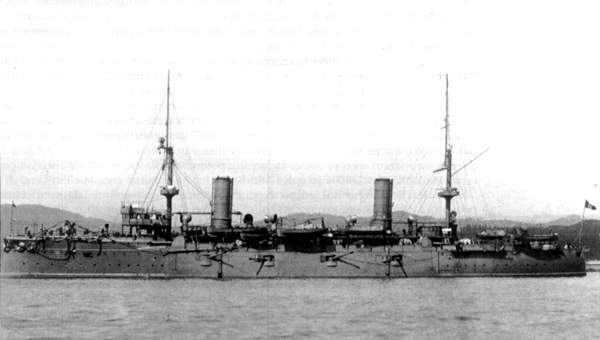 The Vettor Pisani-class was an armored cruiser class designed at the end of the XIX century. 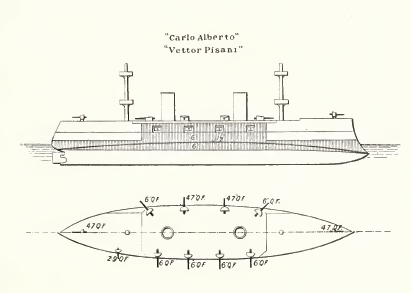 Two ships of this class were built: Vettor Pisani and Carlo Alberto. Both saw service in the Boxer Rebellion, in the Italo-Turkish war and, even though they were considered obsolete, in WWI. After WWI they were demolished in 1920. One of the two, Carlo Alberto, was used by Marconi for his experiments with the radio back in 1902. NOTE: this ship is a placeholder since i’m not 100% sure about it. RN was the cruiser Pillau, given to Italy by Germany after WWI. IN the ’20s the only modification was mounting three 76/40 AA guns instead of the two German 88 mm. She served in that form until the mid ’30s when she was refitted yet again: the main changes where in the machinery(the six coal burning boilers were removed and replaced with oil tanks), removal of the fore funnel, the torpedo tubes were removed and AA armament was improved. After the refit she served in Africa until 1938, when she was replaced by RN Eritrea. When WWII started she was first assigned at Taranto for the protection of the base and then became the flag ship of the “Forza Navale Speciale”(the litteral translation: Special Naval Force, SNF in short), created to support the amphibious assaults. She was supposed to lead the invasion of Malta(Operation “C3”) but, due to how the war was going, the operation was called off. After Operation Torch she carried troops to Bastia for the occupation of Bastia. Soon after the SNF was disbanded and Bari was supposed to be refitted as anti aircraft cruiser in the naval shipyard of Leghorn. She was badly damage during an Allied bombardment on 28/6/1943 and then scuttled after the Armistice. She was partially scrapped by Germans in 1944. 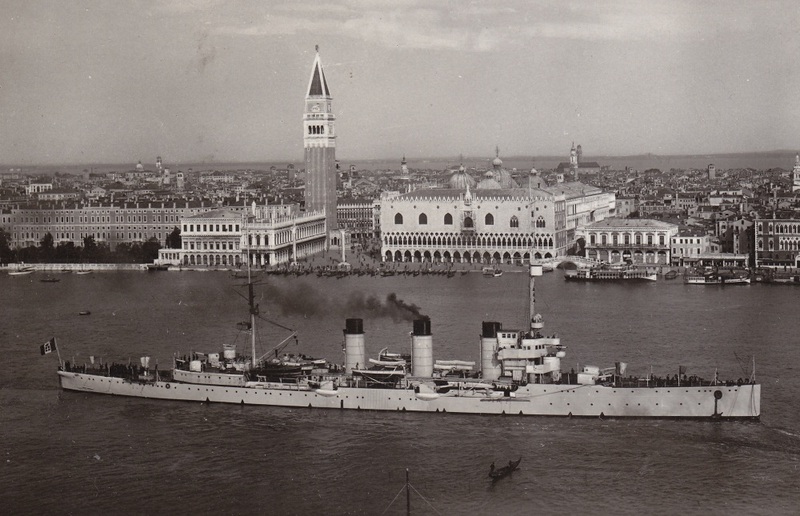 After WWII the relict of Bari was raised and finally scrapped in 1948. Great article! Looking forward to more, I hope you have som French info also. I love the earlier ships since those are never in any games. French info, you say… I guess you will have to wait till I finish this series 🙂 Every day I post about the Italian tree, granted. I keep posts medium sized because the full forum post is soooo LONG and hard to read (it has many unimportant comments and it takes more than 10 pages) too . 99 percent likely that I will do some research about the French in the future! And by the way, sorry for being late with WoT info – again. I promise that from 15 June my activity will be normal. And maybe the other admin will show up, too. I guess I will do some TAP specials too – I have some ideas in mind.